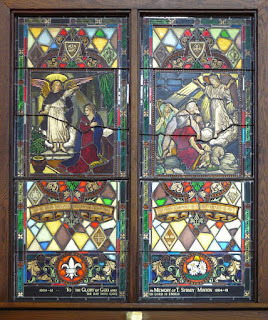 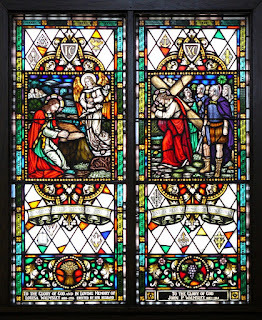 My Stained Glass Panels Plus blog: Famous and Fascinating Stained Glass Windows through the years Part 13, Halifax, N.S. 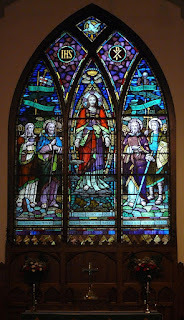 Famous and Fascinating Stained Glass Windows through the years Part 13, Halifax, N.S. 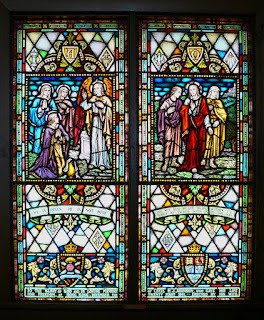 In all of my research to find fascinating Stained Glass, I do find that stained glass was predominately through our religious past. 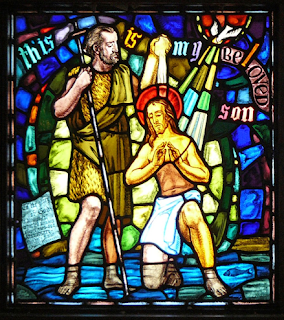 Here is another to share with you! 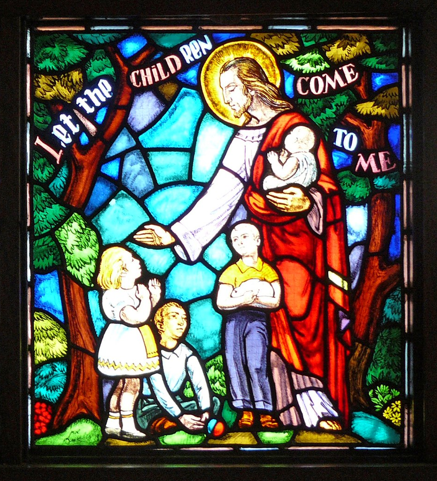 By the 1940s, mortgages had been paid off and the parishioners decided to turn their attention to beautifying the ‘new’ church. Rev. 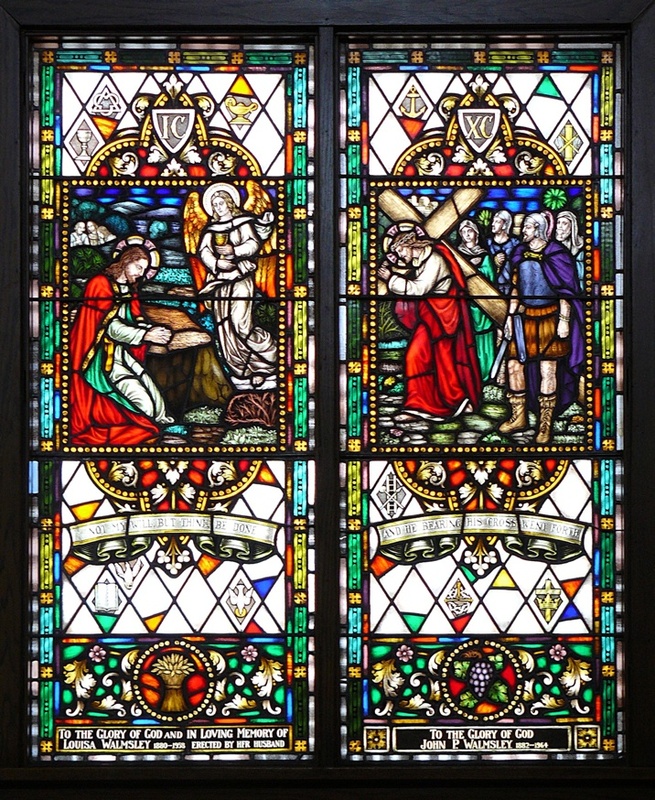 Findlay suggested that stained glass be installed in the East Window, to honour “the men and women who served, suffered, and died in the service of God, King, and Country.” Rev. 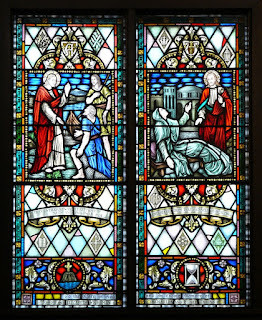 Findlay had been impressed with windows he had seen in Toronto and invited their creator, Meikle Studios, to submit a design. 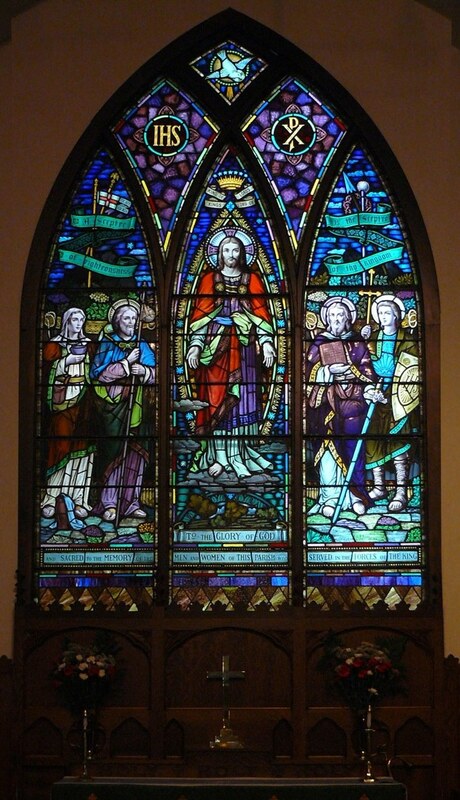 When he visited the church, the studio representative suggested that stained glass be installed in the 14 aisle windows as well. 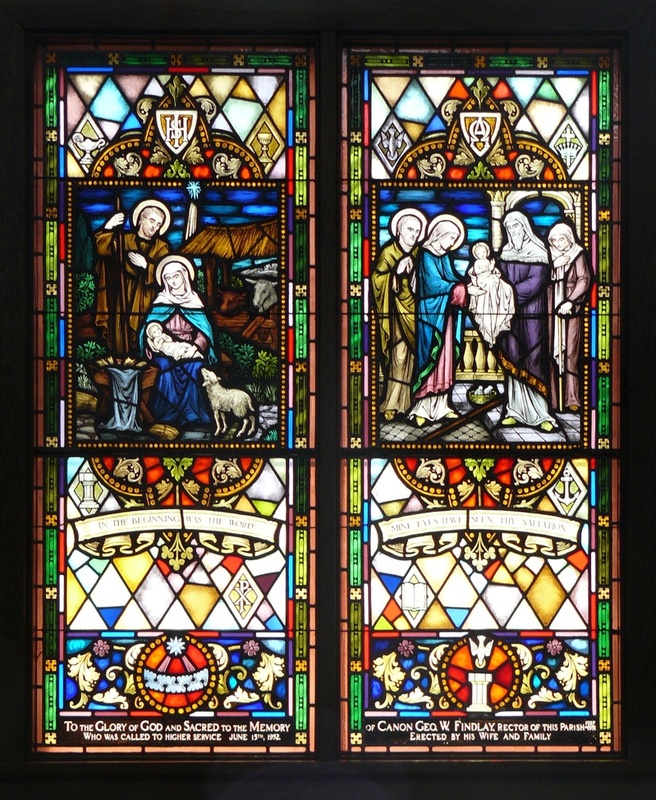 Conceptual designs were drawn up for them, with the upper and lower panel designs being formalized, and the center panel left for a Biblical scene that would be designed when the window was commissioned. 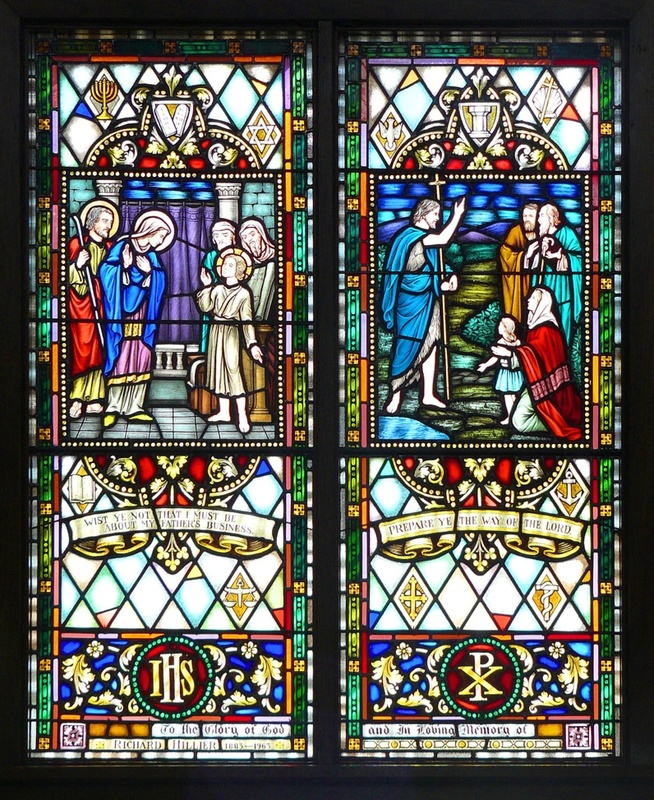 Canon Findlay drew up a list of 14 pivotal events in Christ’s life to suggest to parishioners who wanted to donate a window and stipulated that they had to be installed in the correct order in the story sequence. 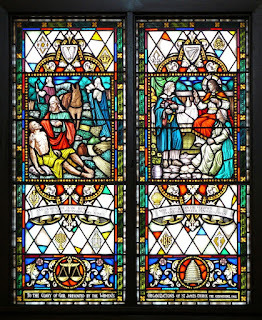 The first aisle windows to be donated were the pair illustrating ‘The Women Come to the Tomb” and ‘The Emmaus Road’. 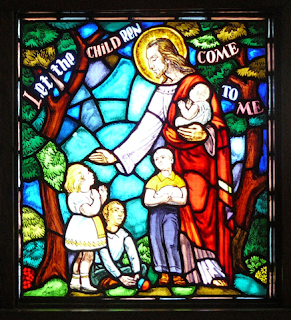 This was the beginning; interest and excitement increased as the remaining windows were installed over the next decades. 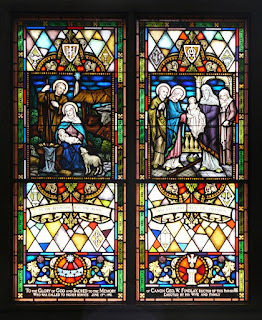 After Canon Findlay’s death in 1952, his family donated ‘The Birth of Christ’ and ‘The Presentation at the Temple’ in his memory. 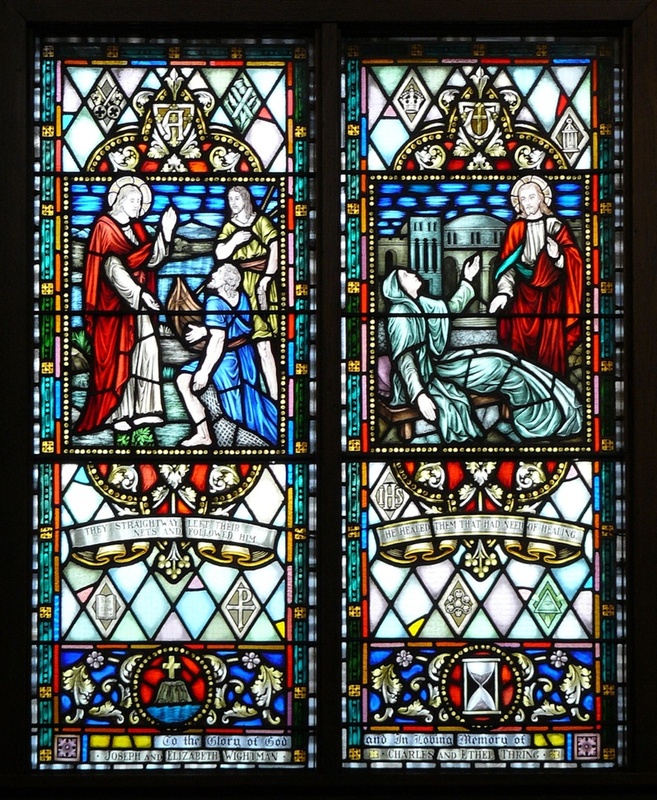 Behind the Baptismal Font, at the nave entrance, is a double panelled Baptistery Window designed and created by Winnipeg’s Leo Mol, the world-renowned artist and sculptor. 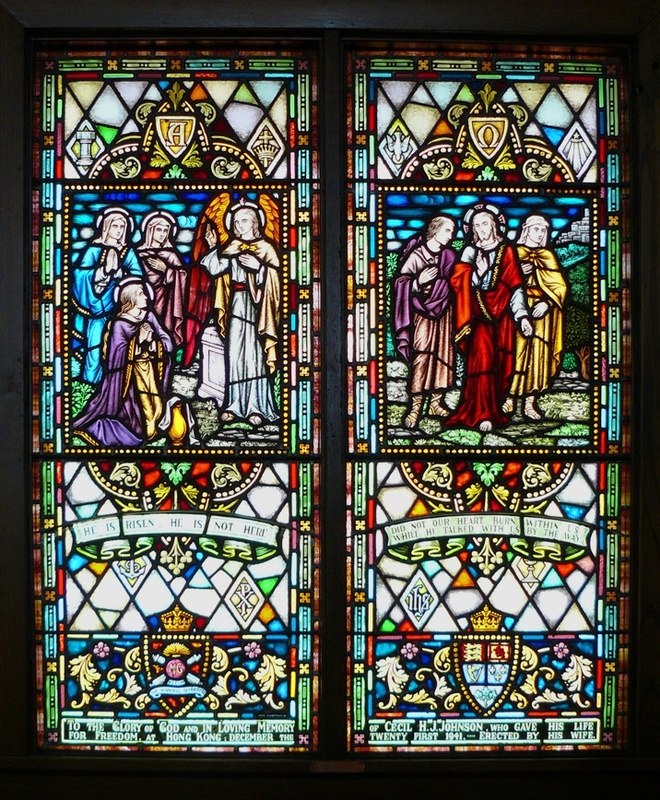 These are not part of the story sequence but are important representations of periods in Christ’s life. 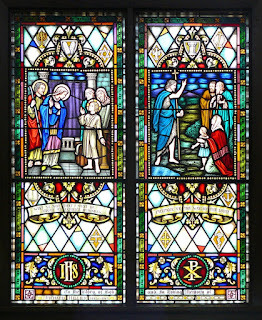 The left panel shows John the Baptist baptizing Christ with water from a scallop shell (the symbol for St. James); the right shows Jesus welcoming three children to Him. 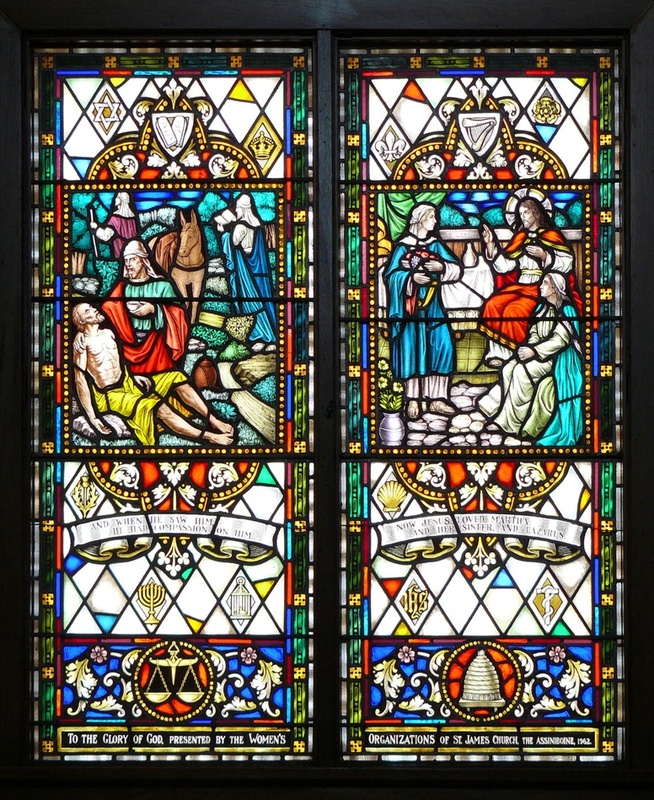 The most recent windows to be added are two small panels beside the Baptistery Windows (Abbey Most windows were created by Meikle Studios (of Toronto), but it no longer exists. 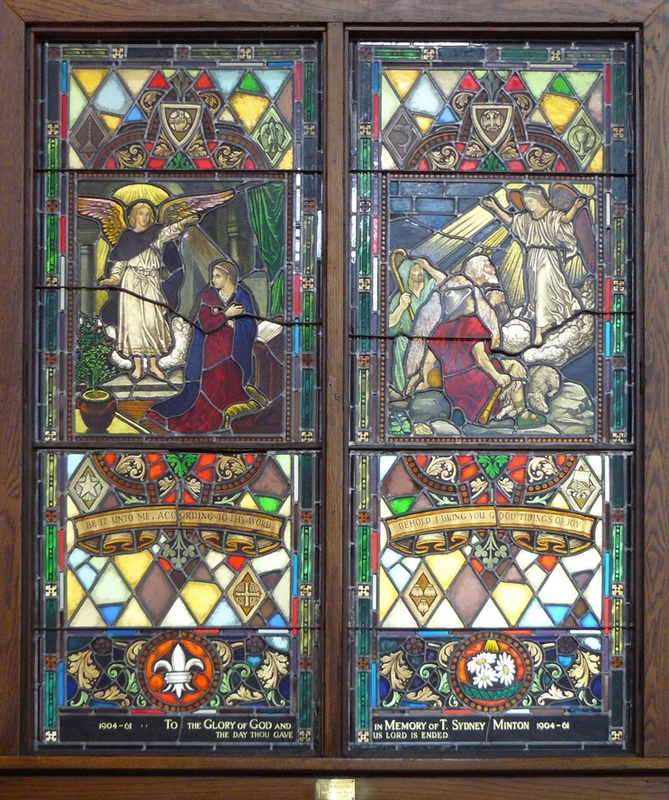 Westmacott Art Glass Studio of Winnipeg created two of the aisle windows as well as the large West Window in the gallery (balcony). 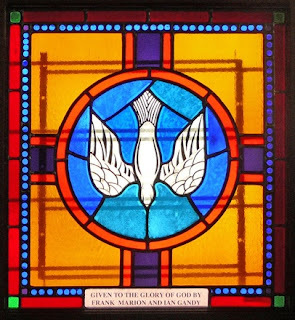 • The dove expresses innocence and purity and signifies the Holy Spirit and presence of God; rays of light of divine power indicate the Holy Spirit, and also declare the innocence of the departed. That's all for now folks! 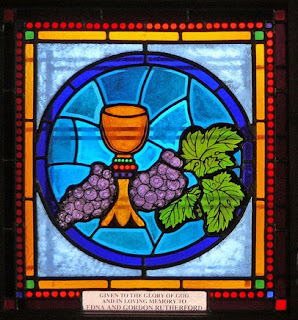 May sunshine fill your day!! 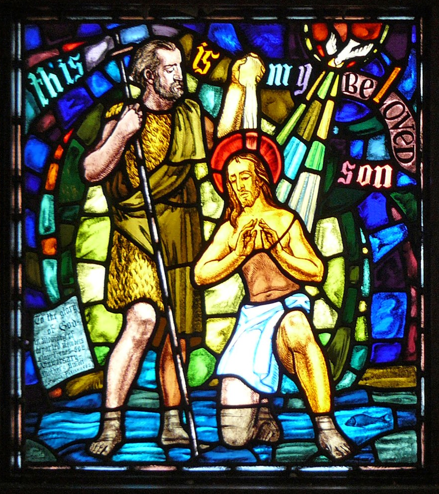 Please check back often!